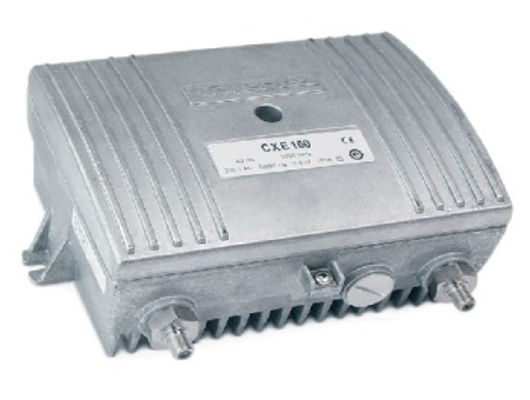 CXE160 is a compact distribution amplifier. It can be used both as a house distribution amplifier as well as line extender with remote powering. The CXE160 has diplex filters, return amplifier and all adjustments built-in, which makes it a compact amplifier ready to install.